"No. Way." Merida's fiery red locks swung across her shoulders as she whipped her head around. Mouth gaping, she stuttered, "It's... it's... b... beauti..."
"Yeah, beautiful. I'd agree with you, except for the fact that your hair is in my face!" Mulan swatted Merida's hair out of the way. Looking down, she noticed the cobblestone path in Disneyland was significantly more polished and perfect than the stony path the girls usually walked through the forest each morning. For a Disney Princess, Mulan would have had to chalk this up as one of the most unique experiences ever. "Why ever on earth they chose to film our life stories into movies and make a park with us as the main characters, I'll never know," she thought. Peering over Merida's shoulder (and past the girl's mane), Mulan took in the towering turrets, perfectly arranged flowers and piped in scents and sounds. "We might be princesses girls, and they might have made movies about us, but... really? This is far too perfect." Snow White giggled, her long skirt swinging . Of course, she was enjoying this the most of the three who had been grouped together to explore the theme park. "It's all the good parts of life," she said, stepping forward. "Walt Disney was a creative man, and I don't suppose he noticed all the everyday, routine parts of our lives. Who would want to make a movie about those?" 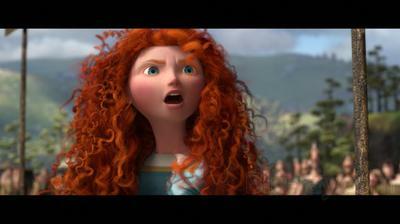 Breaking her gaze from the towers and trumpets, Merida laughed. "Can you imagine a film about me, in the stables each day, caring for my horses? Even I get bored of that sometimes! " "Exactly! I'm sure this creative man dreamt up these elaborate sets from the best parts of our stories and, well, I guess the rest is history! We're beloved characters, role models and..."
"We make someone a whole lot of money every year. Yeah, I know," Mulan's wry humour broke through. "We're famous - but we're not. It's like some other version of me is that girl over there." Linking arms with her friends, Snow White led the trio skipping down the cobbled path toward's the castle's entrance. "It might not be completely realistic, but here we are and this is our story. So darlings, let's just enjoy today." Hello! Try this great essay service. They write my dissertation very fast and with great style. You won't believe me until you try it. Don't waste your time. Join in and write your own page! It's easy to do. How? Simply click here to return to Lesson 2: Creative Writing & Keyword Writing.